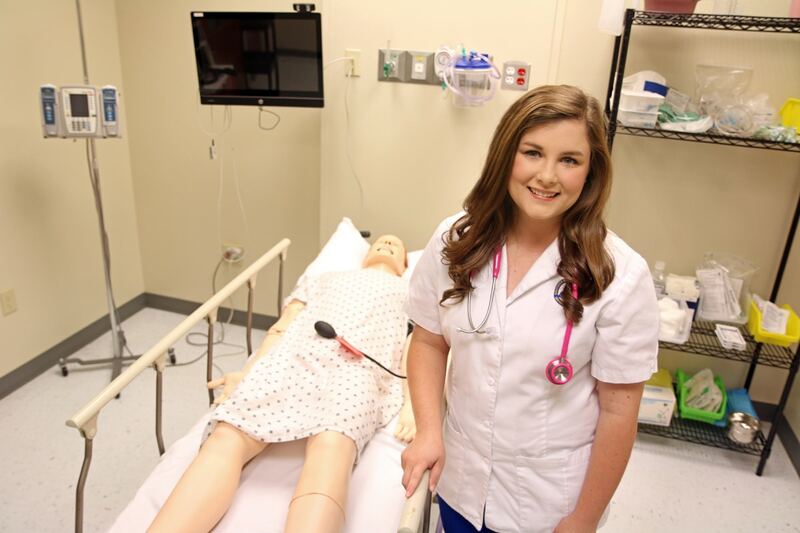 Morgan Layssard, a senior from Bradley, Ark., said she is following her dream of helping people “at their best and worst times” by receiving a nursing degree from Southern Arkansas University. Her recent election as District 1 director of the Arkansas Nursing Students’ Association will surely rank as a highlight of her academic career. Layssard was elected to the post earlier this month during the state convention of the ANSA in Little Rock. She said she “didn’t get up that morning” thinking about seeking the post. She said her duties will include serving as a liaison between SAU’s Department of Nursing, other schools in the district and the state board. She will attend monthly meetings, raise funds and work with different philanthropies. She will also attend the national convention next spring in Orlando, Fla. She will serve as director for one year. Noting that nurses spend more time in direct contact with patients than physicians, whose time may be “spread thin” among patients, Layssard said she has seen the highs and lows of nursing at clinicals. Having recently completed a round of pediatric clinicals at Arkansas Children’s Hospital, Layssard said she wants to work with infants and children. Clinicals help prepare the students for work in health-care facilities. In addition to shadowing at ACH, Layssard said she has also done clinicals at St. Michaels in Texarkana. Charting is an important part of the health-care process. “We learn all the charting systems because each facility uses a different system,” she said.